To adopt a standard procedure to be used in developing policies in order to facilitate the efficient operation of the Association. 2 Past Actions Reaffirming certain past Board actions. 3 Parking Clubhouse parking spaces assignments. 5 Dogs Restriction on new dogs. 6 Clubhouse use Restrictions on parties. 8 Fines & Fees Establish & set amounts for each. 10 Owners Equality Owners “common elements” rights. 12 Policies and Procedures for covenant and rule enforcement. To adopt a uniform procedure to be followed when enforcing covenants and rules to facilitate the efficient operation of the Association. 17 Investment of Reserve Policy To adopt a policy for the investment of reserve funds. 18 Reserve Study Policy To provide for the creation and review of a reserve study and for the funding of the work recommended by the reserve study. 19 Procedures for Inspection and copying of Association records To adopt a policy regarding an Owner’s right to inspect and copy Association records. 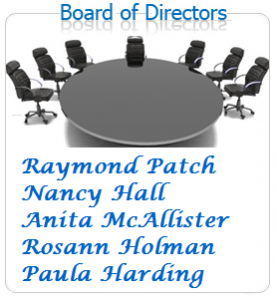 20 Procedures regarding board member conflicts of interest. To adopt a policy and procedure to be followed when a Director has a conflict of interest to ensure proper disclosure of the conflict voting procedures and to adopt a code of ethics for Directors. 21 Procedures for the conduct of meetings. To facilitate the efficient operation of Owner and Board meetings and to afford Owners an opportunity to provide input and comments on decisions affecting the community.